- Elder, I am jealous of a fellow sister nun. - I know which sister you are jealous of, but I learned that she also is jealous of you! 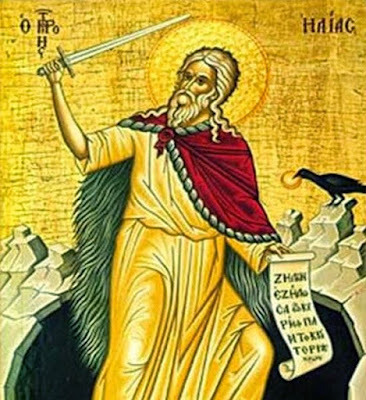 I pray both of you become jealous of the zealous Elijah, and that he will cast jealousy away from both of you, and give you his own divine zeal. Amen. - When I am jealous, Elder, I try to place myself in a reasonable disposition. - If you try on principle not to be jealous, is it not better? Jealousy is a ridiculous thing. It requires some thought to overcome jealousy; great struggle and much asceticism are not necessary, since it is a passion of the soul. Be careful to never let the passion of jealousy dominate you, because it is one of the biggest passions. You know where a person can reach when they are jealous? To envy and slander. And slander does much greater harm than envy. From Spiritual Counsels: Passions and Virtues, vol. 5, pp. 119. We are children of God and it is our duty to do good, for God is all love. You saw the widow who hosted the Prophet Elijah? She was a heathen, but what love she had within her! When the Prophet went and asked for bread, she said: "We have a little oil and flour. I will eat this with my children then we will die." She did not say: "We have nothing to give you." And when the Prophet, to test her disposition, told her to make him bread first and then for her children, the poor thing immediately made it. If she did not have love within her, she would have thought: "It is not enough that I told him we had little, now he is asking for to make it for himself first!" Her disposition was manifested, that we may have an example. But when we read Holy Scripture, we read this and that, but what do we do? I also remember the Bedouins in Sinai who knew nothing of the gospel, if you gave them something, even if it was very small, they would divide it among themselves and each would take a little. And if nothing was left for the last person, they would each give him a little of their own. Take all these things as examples and examine yourselves, to see where you are. If one occupies themselves like this, they are benefited not only by the saints and strugglers, but by all people. Think: "Do I have such philotimo? How will I be judged?" Because each of us will be judged by what is best in us. It is of value if we give from what remains, whether it is something spiritual or something material. Suppose I have three pillows. If I give one that I use as a headrest, this has value, because it is a sacrifice. This is why Christ said of the widow: "This poor widow who had nothing gave everything." From Spiritual Counsels: Passions and Virtues, vol. 5, pp. 221-222. - Elder, why does God allow calamity to happen? - There are many cases. Sometimes God allows something to happen for something better to happen, and sometimes something is allowed for a lesson. Some things are rewarded and some things we get back. Nothing happens that is lost. Know that when God allows something, even if people for example are killed, it is benevolent, because God has "guts". How many did the Prophet Elijah slaughter? Over three hundred prophets of Baal. When he told them: "You pray, and I will also, and for whoever the flame is lit by itself, their God is true." And the priests of Baal began to cry out: "Hear us, our god Baal, hear us!" But there was neither voice nor sound. The Prophet Elijah said to them: "You god is busy and does not hear you! Call out louder!" They continued to cry out and cut their flesh with knives, as was their custom, so that they would be in pain and cry out louder, in order that Baal would hear them. Having finally achieved nothing, the Prophet Elijah said: "Pour water on my wood three times." They poured water once, twice, three times! Because of all the water the wood was soaked and water was running off it all around. As soon as the Prophet prayed, fire came down from heaven and consumed everything that was on the alter for a sacrifice, together with the altar itself! Then he said: "Capture the priests, because they lure the people into idolatry," and he slaughtered them all. Some say: "How could the Prophet Elijah slaughter so many people?" God is not a barbarian, and the Prophet is not a barbarian. But the priests of the idols were deceiving all the people, to the point where the Prophet Elijah said: "I am on my own!" So much! Also the priests of the idols suffered more by their own cutting than by the knife of the Prophet Elijah, who put an end to their suffering. The pain of their own mangling was greater. Because, you see, whatever God allows is benevolent, while their own cuttings were painful. - Why, Elder, in the Old Testament were God's punishments so direct? - That was the language and law they understood in the Old Testament. God was the same also at that time, but that law existed for those people because they did not understand anything else. Do not allow that law to seem harsh to you while thinking the gospel is different. It was that law that would bring benefit to them at the time. That law was not barbaric, but that generation was barbaric. People today may be more barbaric, but at least they understand. Now when an oil lamp shakes so many people are shocked! But do you see how many things God did back then? He sent ten plagues against Pharaoh, to remove the Israelites from Egypt. He dried up the Red Sea for them to cross over. He gave them a cloud by day, so they would not be burned by the sun, and a pillar of fire at night to guide them. And after all these events they reached the point where they sought for a god a golden calf (cf. Ex. 32:1-6)! Today people would never say that a golden calf would lead them to the Promised Land. - Elder, in the apolytikion of the Prophet Elijah, it says that he is the second forerunner of the Coming of Christ. It is well known that the Prophet Elijah did not repose, like Enoch. Will the Prophet Elijah come back to earth? 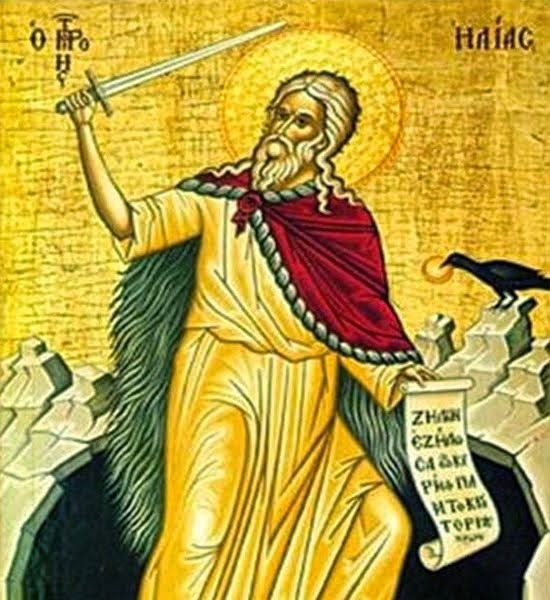 - The Prophet Elijah is sharpening and preparing his knife! And he will even begin with the patriarchs, bishops, priests and monks! 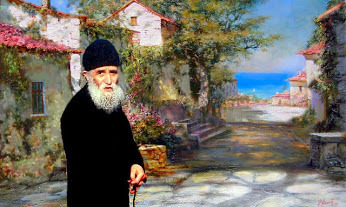 - What about laypeople, Father Paisios? - Yours are ignorances, while ours are sins. The Prophet Elijah is sharpening his knife, but caution is needed, because some things that are said by the Fathers of the Church are interpreted differently by people. From a Testimony of Stephen Papavasileiou from Thessaloniki. - Those who have a good predisposition will understand. Those who aren't positively predisposed will not understand and will be misled. Our Lord has warned us that we must be very careful, because "false Christ's and false prophets will rise and show signs and wonders, to deceive, if possible, even the elect" (Mk. 13:22). There are some who mistake certain deluded persons for prophets. Several years ago, there was a Protestant who constantly wandered around with a leather briefcase which had an inscription on it, written in English: "I am the Prophet Elijah"! He wore a short-sleeved shirt, he had a Bible in English and he claimed to have descended from heaven! When they asked him what he believes in and what religion he belongs to, he said "Eh, they are obsolete things. Religions didn't exist then!" You see? To him, everyone - Catholics, Protestants, Pentecostals, all the heresies and all the branches of heresies - are the same to him. Is it not obvious then what his true state was? And oh, how many letters did that person send me! He would write down various passages from the Holy Bible and all his positions were Protestant. He would also send a whole lot of letters to various other people, sometimes from England and sometimes from other places. There were those who believed the things he wrote and they wanted to publish in a magazine that the Prophet Elijah had come. "Are you in your right minds? What on earth are you about to do?" I said to them. Poor people...they are so confused! A person sins just through listening to what such deluded people have to say. There are some who say: "If you believe that it will happen that way, then it will." This is pure belief in themselves, but behind them is the little imp (mythological demonic-looking creature,). Thus, they deify themselves and they strip themselves of Divine Grace. It is with theories like these that they strive to fool people. From Spiritual Counsels: Spiritual Struggle, vol. 3, ch. 4.